These beautiful primates are a native of the Virunga Conservation area consisting of Uganda, Rwanda and DR Congo and can be trekked in Volcanoes National park in Rwanda and Mgahinga National park in Uganda. Golden monkeys are small, smaller than Gorillas and Chimpanzees, however their Golden color mixed with silver makes them a rare spectacle. They spend their days feeding in Bamboo trees jumping from one to the other high in the trees. Today, the total number of Golden monkeys are just about 4000 in the wild and as a result, they are labeled as Endangered by IUCN(International Union for Conservation of Nature) Red List. 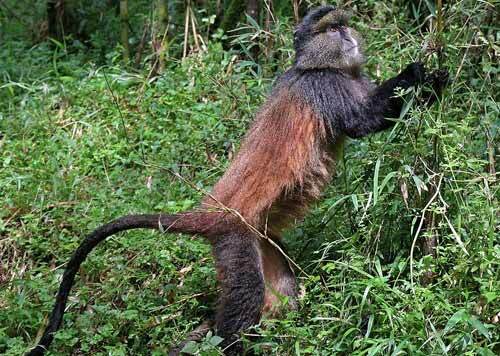 Our safari will be focused in Mgahinga National park a home to Gorillas and the Golden monkeys. After and early morning breakfast, our company representative whose is your guide will meet you at your place of residence/hotel to start on a 10 hour country side journey to the west. 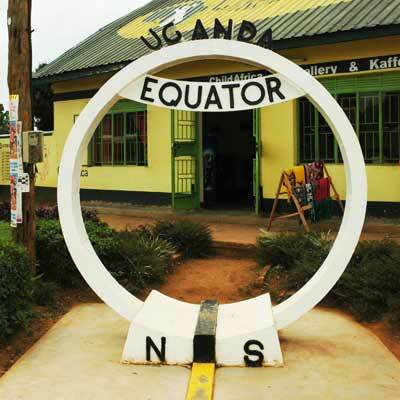 We then Have a break at the Equator for coffee, tea and Equator experience: The clockwise and anti clockwise of the displacement of water in the northern and southern hemispheres respectively. 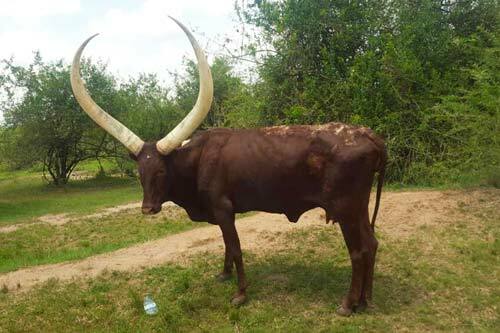 We continue driving and then have a lunch stop in Mbarara the land of Milk and the home of the ANKOLE LONG HORNED CATTLE. We Check in our lodge and later have Dinner. You will parade at the park offices in the morning after breakfast for briefing and registration. 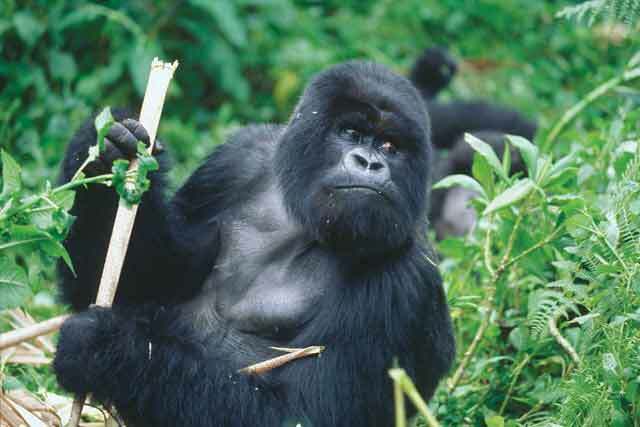 From here, you will be led by a UWA ranger guide and two armed escorts in to the forest for Gorilla trekking. 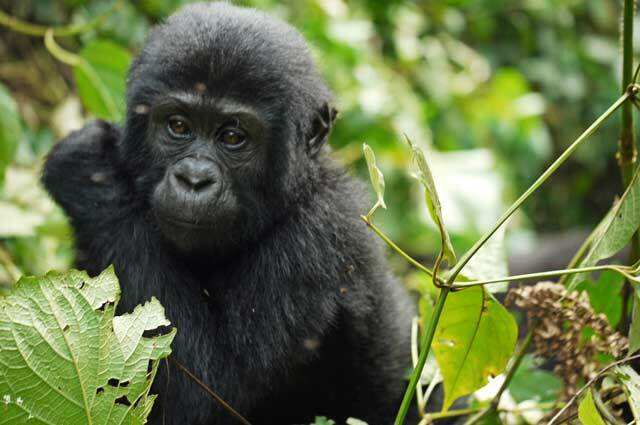 This might be tough but hiking through the dense forest is an amazing experience and finding the endangered mountain gorilla will bring you to rest. This is a very unique experience takes an hour which seems so short. Enjoy your quality time with the gentle giants and your name will later be written in the book of records as you contributed to conserving the endangered mountain Gorilla species species. We then return to the lodge for dinner. Another great day comes again after a morning breakfast, return once again to the park offices this time around for Golden monkey. These are also endangered type of primates only found in the Virunga conservation area, made up of Uganda, Rwanda, and D R Congo. Gold monkey habituation does not only bring you close to these beautiful creatures but also makes sure you have enough time with them as they go through the day’s activities in your presence. Upon having our experience we return to the lodge for Dinner. Today we bid farewell to Mgahinga Gorilla park. After breakfast, we drive back to Kampala, Entebbe or place of your interest. We Stop for lunch on the way and we can have another stop at the equator for souvenirs before reaching your destination in the evening. 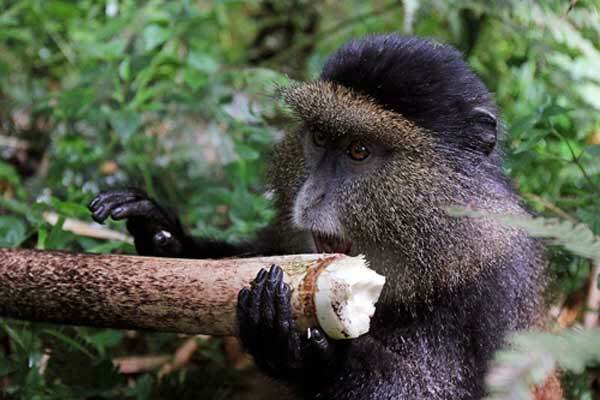 This 5 days primate & birding safari brings you an encounter with mountain gorillas and our cousins the chimpanzees in the forests of Bwindi and Kibale.